Solo lunches are usually quick ones for me. But, that doesn't mean it has to be boring! Like this one. 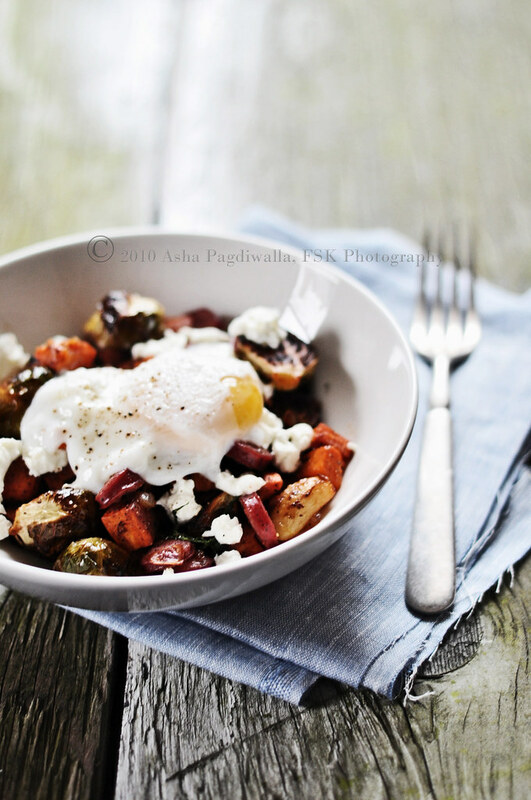 A simple hash of roasted vegetables and spicy sausage made heartier and playful with the addition of a poached egg. 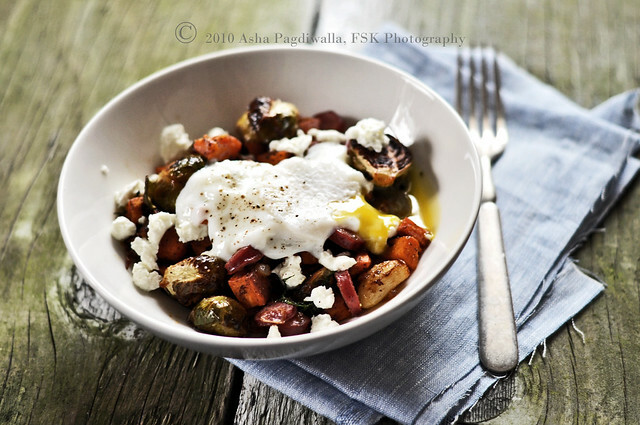 Toss the brussel sprouts, garlic and carrots in a bit of oil. Season with salt, oregano, cumin and pepper and toss to coat well. Bake at 375 F for 20 minutes until browned and soft. Remove and cool on rack for a few minutes. Meanwhile, saute the onions until soft. Add the sausage and brown a bit. You can add some cumin and chili flakes if you want. Add the veggies and lightly saute for a couple of minutes. 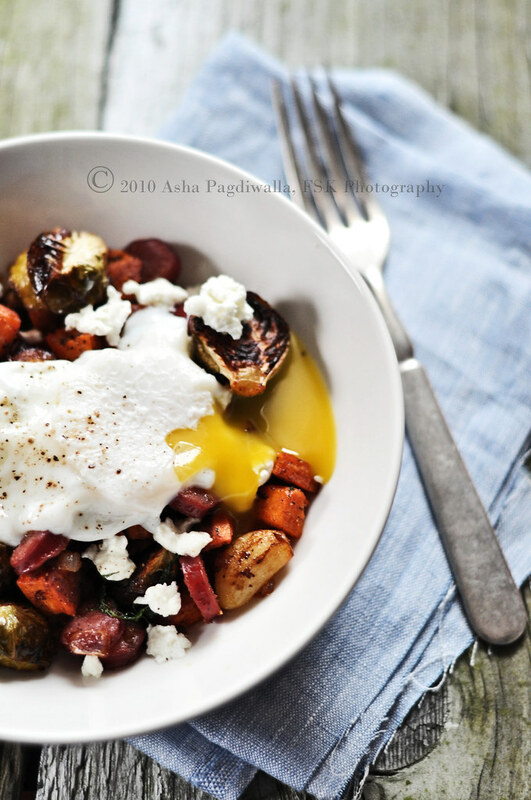 Serve with a freshly poached egg and cheese sprinkled over.